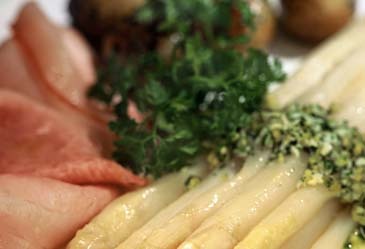 Seasons, Millennium Seoul Hilton's gourmet French restaurant, will host a special Fresh Asparagus Festival for the month of May. During that month, Executive Chef Hyo Nam Park will introduce several new dishes to the menu using green and white varieties of healthful and tasty fresh asparagus. In addition, Executive Chef Park has composed an ingenious six-course asparagus extravaganza. Each course will utilize asparagus, whether in the form of a sauce, a garnish or as the main ingredient of the dish, from the appetizers to the main course to even the dessert! Experience for yourself how Executive Chef Park highlights the subtle tastes of these fresh spears of spring with each course. This amazing dinner is priced at KW98,000++ per person.